Version ebook/PDF en option : Trop impatient pour attendre l'arrivée du livre ? Ou alors vous souhaitez une version pour votre smartphone ou votre tablette ? Cochez l'option e-book ci-dessus. 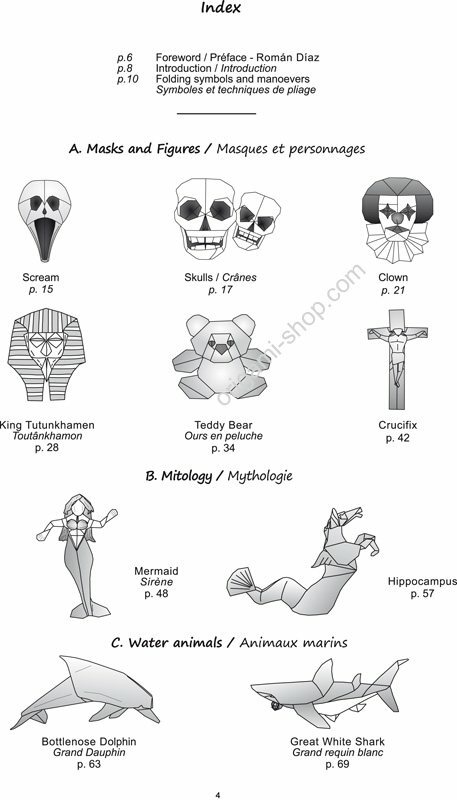 En plus de l'envoi du livre par la poste, vous recevrez la version PDF du livre avec les diagrammes du CD bonus*. *Version PDF du livre de 50 Mo, pouvant être visualisée à l'aide du logiciel gratuit Adobe Acrobat Reader. Un lien pour télécharger le fichier PDF vous sera envoyé au plus tôt, le plus souvent dans la journée, dès réception de votre paiement. Very different models with an unique design make this book very interesting! très original! je cherchais en particulier des modèles religieux... le crucifix est un chef d'œuv... (Lire la suite)re! Des modèles magnifiques, des diagrammes hyper détaillés, des infos sur le meilleur papier et des ... (Lire la suite)explications bien claires, bref des heures de plaisir en perspective ! Un livre fait avec passion, et Quentin Trollip sait super bien nous la faire partager. It isn't an origami design book but I can now put fingers and toes on almost anything whether it nee... (Lire la suite)ds it or not. The models in this book are beautiful. He's a fan of wetfolding but I can closely replicate the models' appearance by using a large thin sheet such as double tissue. 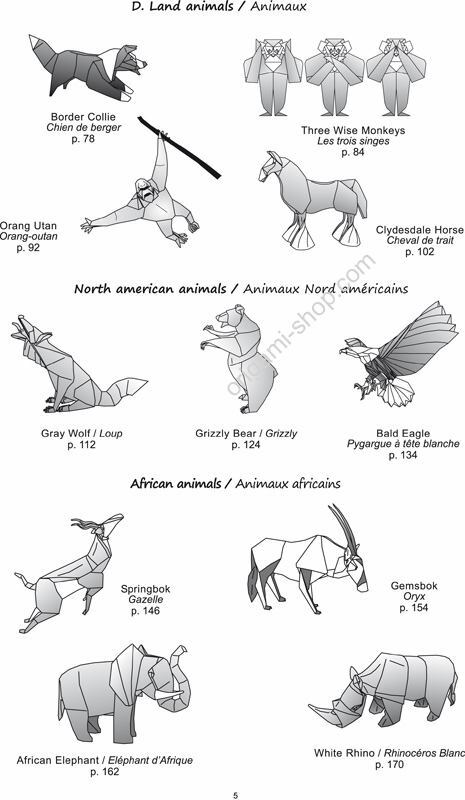 Si quelqu'un peut me répondre où trouver le papier pour l'aigle ? Je n'arrive pas à en trouver un... (Lire la suite) bon. Un libro de lujo . A fantastic book with wonderful animals to fold. Great book!! Highly recommended for good folders! The book is of very good quality and provides many hours of fun. It is focused mainly on wet-folding... (Lire la suite) and color changes, so You will use a lot of 30 x 30 cm double colored paper. There are some interesting models in this book but I'm a bit disappointed on the quality of the diag... (Lire la suite)rams and instructions. There are not as clear as I thought. Also the overall look, build and feel of this book seems a bit cheap, especially considering the price asked for it, and finally I was also expecting to be a hardcover with is not! 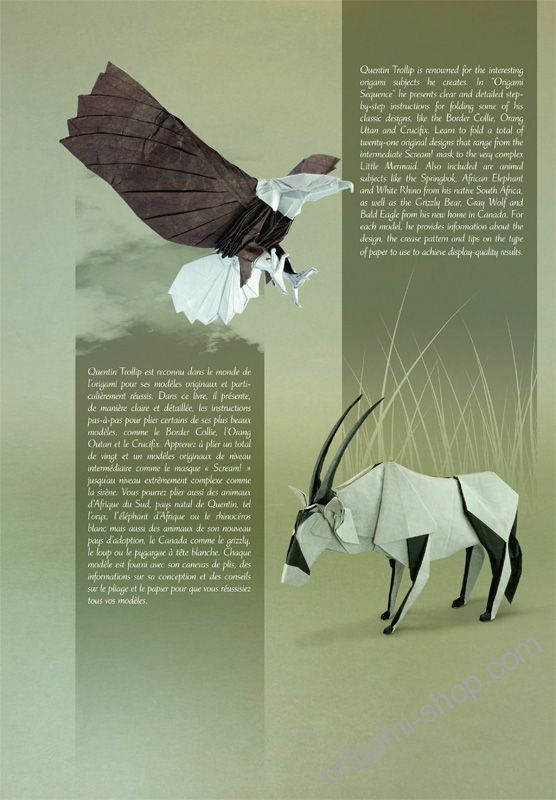 C'est juste le meilleur livre d'origami que je connaisse !! !Tout est travaillé dans le détail avec... (Lire la suite) un rendu finale plus que satisfaisant! Merci Quentin TROLLIP pour tous ces modèle extraordinaire!! Un livre plein à craquer de super modèle. Quentin Trollip est vraiment un créateur exceptionnel! I love this book.In here, lower level complex animol models in here.Models not too difficult to make... (Lire la suite).Not too simple also. Beautiful animals in this book. It is an amazing book. I'm enjoying the challenges of folds and surprising me with the results. 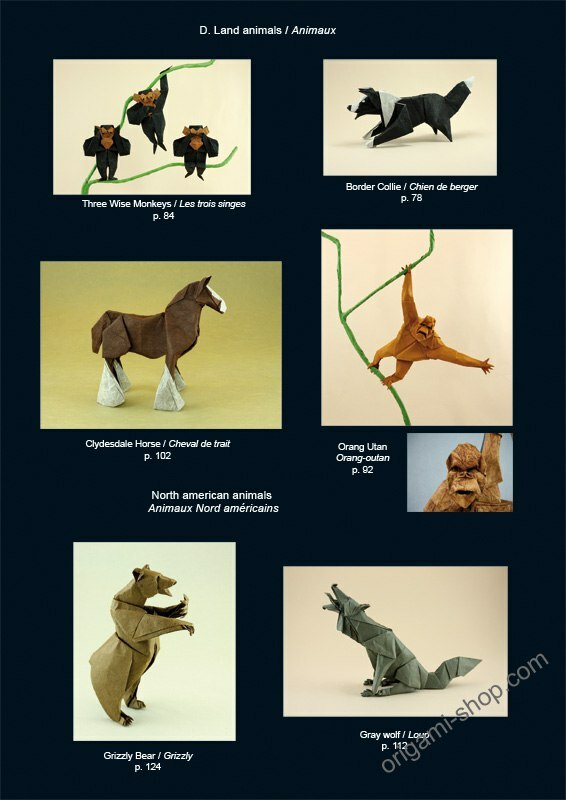 Comp... (Lire la suite)letely satisfied with the service of Origami-shop, which I recommend and congratulate. I bought 2 books and has met with fantastic thought to buy the option to pay a little more and have the digital version of the book. Eins meiner Lieblingsbücher. Sehr schöne Modelle. Außerdem beinhaltet es Angaben zum Verhältnis ... (Lire la suite)der Papiergröße zum fertigen Modell, Hinweise zur Wahl des Papieres und der Faltdauer. Sehr zu empfehlen!!!! Quentin Trollip est un véritable artiste. Ses modèles sont vraiment très expressifs, on dirait qu... (Lire la suite)'ils vivent. mon préféré: le loup. Such an excelent book. Many of the models are smooth sailing, meaning that before you know it you wi... (Lire la suite)ll be far into the model. I love it, I'd like to thank Nick and Quentin for this book, and most deffinately worth the buy!!! Très bon livre, à acheter ne serait-ce que pour le white rhino, un must! excelete libro, lindas imágenes y diagramas claros. Lo mejor, toda la información necesaria, tipo ... (Lire la suite)y tamaño de papel, etc. Excellent travail d'édition à partir des modèles de Quentin Trollip. Je pense que l'année 2012 v... (Lire la suite)a être pour moi une année pleine en termes de pliages grâce à ce livre et ses modèles tous plus beaux les uns que les autres. Awesome book!!! The diagrams are verry clear, there are great models to fold, and a great buy!!! Thi... (Lire la suite)s book is a must must must have!!! Enjoy!!! Great book, I'm still working on some of the models. The diagrams are well described and drown. High... (Lire la suite)ly Recommended! Still working through the book. The level of complexity is very challenging. It is a wonderful book for folders who are interested in animal models. The book contains unique pat... (Lire la suite)terns and clear diagrams. I have just received the book, and I must say that it is really amazing. 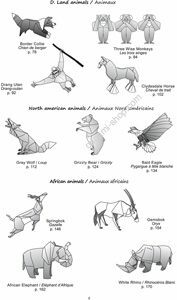 The quality of the diagrams... (Lire la suite) is excellent, and they are all very well described and pictured. Encore un magnifique livre. Le fait de traduire les textes en français est une grande idée. Il fau... (Lire la suite)drait aussi une traduction française d'autres grands textes de recherches et de théories sur l'origami dans un prochain livre. I've folded 4 of the models so far. And all four are excellent. I am looking forward to folding the ... (Lire la suite)others. For the first time I got really excited about dual colour folding too, inspired by this book. The diagrams and instructions are very sensible and easy to follow. I'm keeping my fingers crossed that the author will write another book with some of his other models we can see on his flickr page. I've seen a lot of origmi books. This one makes the short shortlist of best ones for animal origami. An very nice book. I haven't had a chance to fold all the models yet but the diagrams and explanatio... (Lire la suite)ns look good. Great book with good models. Every model has a wonderful sense of character and most utilize both si... (Lire la suite)des of a square. It's an amazing book with some fantastic designs. Quentin's work is just awesome!!!!! !You MUST buy i... (Lire la suite)t!It's definitely worth it! 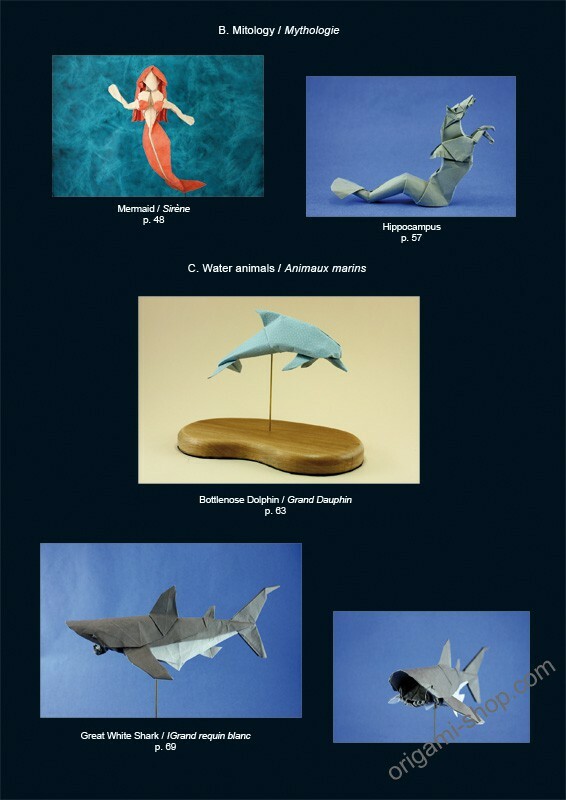 This is a beautiful high quality book, containing very elegant models that are a joy to fold. An ess... (Lire la suite)ential addition to any origami library. Fantástico. Tiene los diagramas muy bien realizados y las figuras son muy frescas, tridimensionales... (Lire la suite) y complejas. 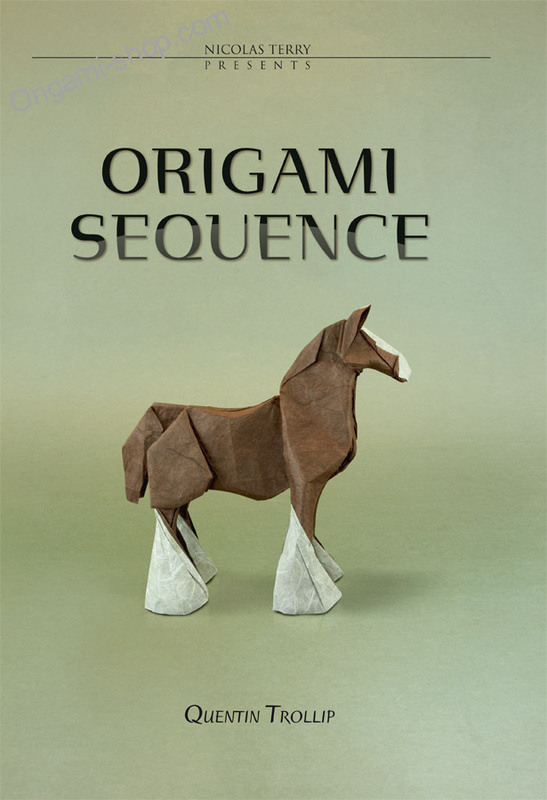 i really enjoyed the book origami sequence. my favorite models are the gray wolf and the rhino. they... (Lire la suite) can be made well from a4 copy paper and nicolas terry golden foil paper. all and all that is my favorite origami book so far. Dieses Buch ist sehr abwechslungereich. Quentin Trollip s art der Modelle und die herangehens weise... (Lire la suite) der Faltungen,läßt raum für Kreativität. Buen libro presentado con una muy buena encuadernación, modelos entretenidos de doblar explicados c... (Lire la suite)on diagramas claros y fotos de los mismos. A really nice selection of Trollip's works. Incredibly good printing quality, as well as clear diagr... (Lire la suite)amming. This is another of those "must have" books in any collection! Arrived early and undamaged. This book is beautifully presented and I'm glad it is hardback. The p... (Lire la suite)hotos are beautiful and really inspire you to fold immediately. The highlights for me are the rhino, elephant, gray wolf and of course the wonderful shire horse. The diagrams are clear and I also like the little silhouette on the bottom of every page so that you can find a particular model quickly. Very happy with my purchase. Wornderful book Order arrived in 8 days Well done the package and all received in perfect condit... (Lire la suite)ions! 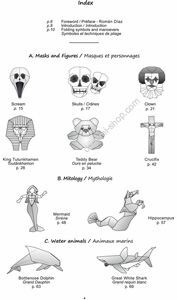 Superb Diagrams! I will recommend this book highly. It will keep one busy for a great while. Fantastic book. My favorite of this book is the easy to fold Teddy Bear, a great model to give away ... (Lire la suite)and it's even possible to make it 3D. 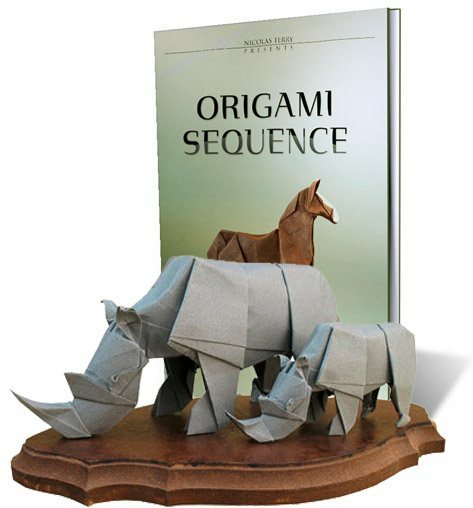 As with every publication of Nicolas Terry, this book is a must have for Origami enthusiasts. 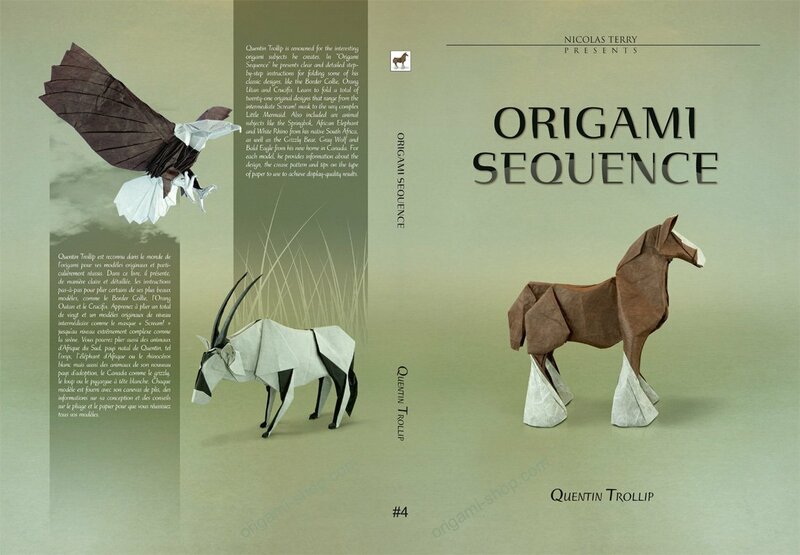 Quentin Trollip's Origami Sequence is a wonderful book. 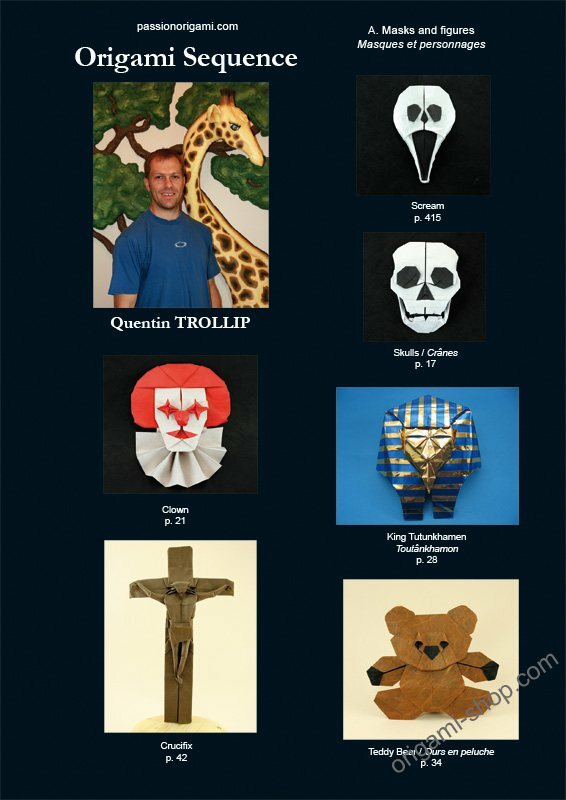 I've been a fan of Quentin's models ever sin... (Lire la suite)ce seeing them in a BOS publication, and am happy to have a chance to fold the models I've seen on his Flickr page. 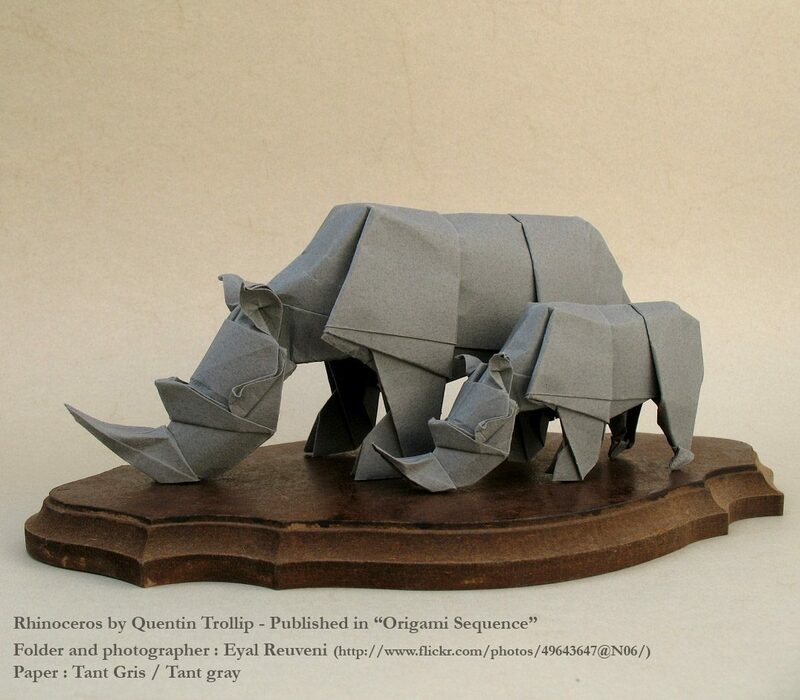 Quentin Trollips origami models in the book are great. 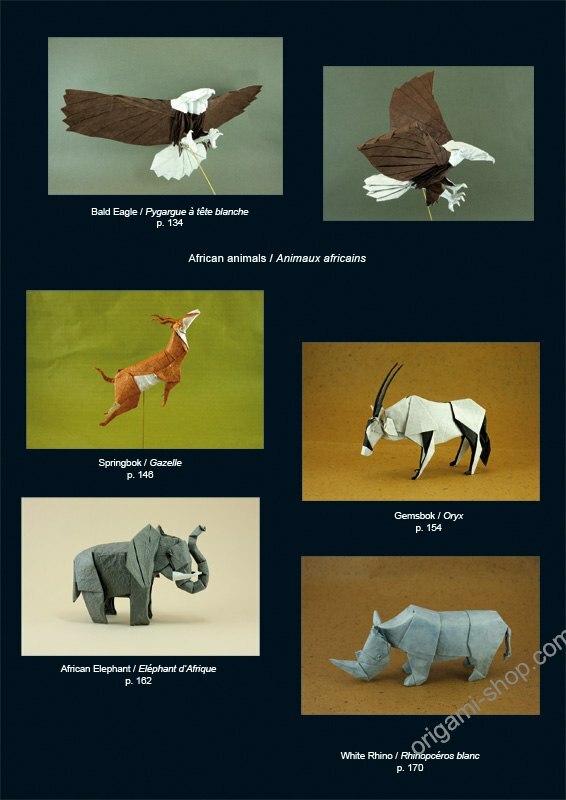 Especially the african animals are excellent.